Four child-friendly books which cover all the essentials – a great head start for school! 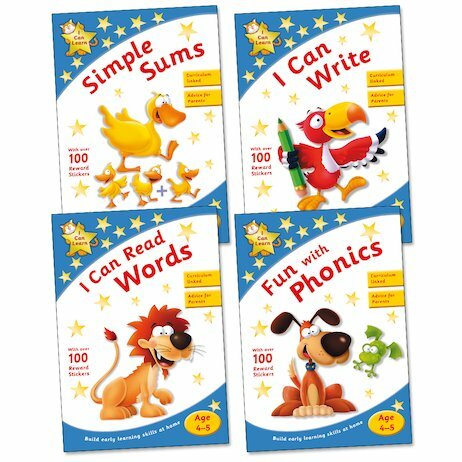 These bright and colourful books with cheerful illustrations are full of simple ways to build up literacy and numeracy skills in your own home. Appealing activities build up children’s confidence and enthusiasm, covering key school topics and paving the way for future success. 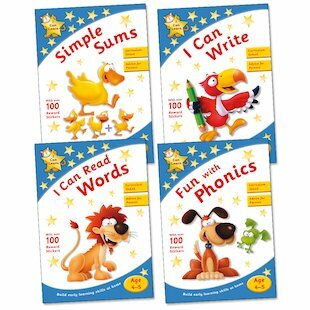 Each book includes gold stars and stickers to reward work, plus advice for parents.